Seattle is the largest city in Washington state and the Pacific Northwest, home to a handful of Fortune 500 companies spanning various industries. With over 650,000 residents, it is the county seat of King County and one of the country’s biggest metro areas, as well. Nicknamed the “Emerald City," Seattle is one of the fastest growing regions in the U.S. and is well known for iconic landmarks such as the Space Needle, the Seattle Great Wheel, one of the country’s largest ferris wheels set just next to the Puget Sound, and Pike Place Market. 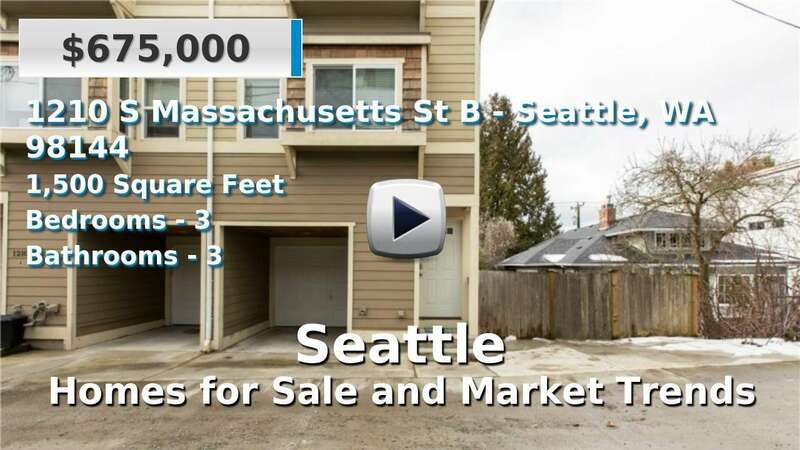 Seattle is obviously the busiest urban area around; the current market offers a mix of old to new condominiums and townhouses for sale, while the available single-family units range from well-established to custom built, luxury estates. Public transportation is readily available, from bus, rail, and even ferry services. Walking and biking are also popular options. 3 Beds | 1.75 Baths | 1382 sq. Ft.
4 Beds | 1.5 Baths | 1660 sq. Ft.
3 Beds | 2.75 Baths | 1546 sq. Ft.
3 Beds | 3 Baths | 3160 sq. Ft.
3 Beds | 2.5 Baths | 3970 sq. Ft.
3 Beds | 2.75 Baths | 3534 sq. Ft.
1 Beds | 1 Baths | 703 sq. Ft.
4 Beds | 2.75 Baths | 2650 sq. Ft.
3 Beds | 1.75 Baths | 2370 sq. Ft.
3 Beds | 2.5 Baths | 1605 sq. Ft.
2 Beds | 1.5 Baths | 1100 sq. Ft.
1 Beds | 1.5 Baths | 987 sq. Ft.